Silver Tree Crystal offer a wide range of Barware crystal to compliment any interior. 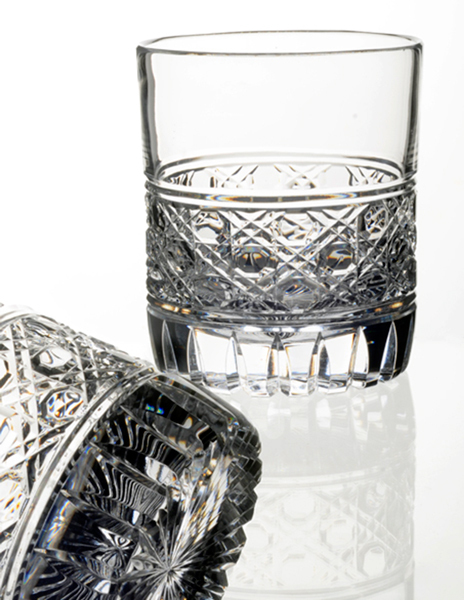 From classic to contemporary, our skilled Glassmaking team bring fresh ideas to a new reality. 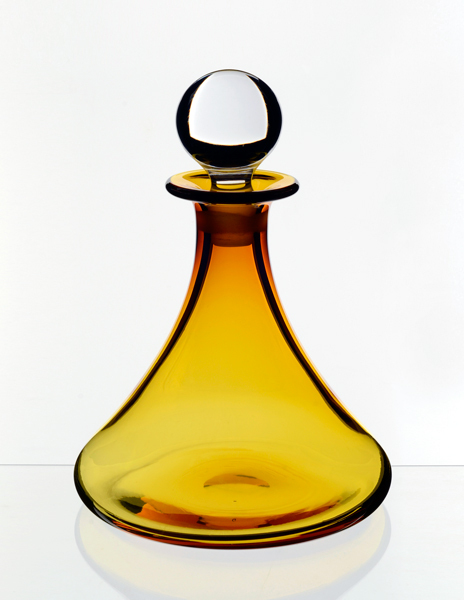 Our bespoke design service allows you to change anything within our collections, or create something completely unique. Whatever you have in mind feel free to get in touch and we will be happy to discuss your ideas. 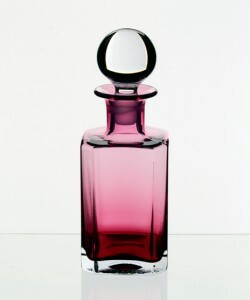 All products shown below are available in a wide choice of colours. 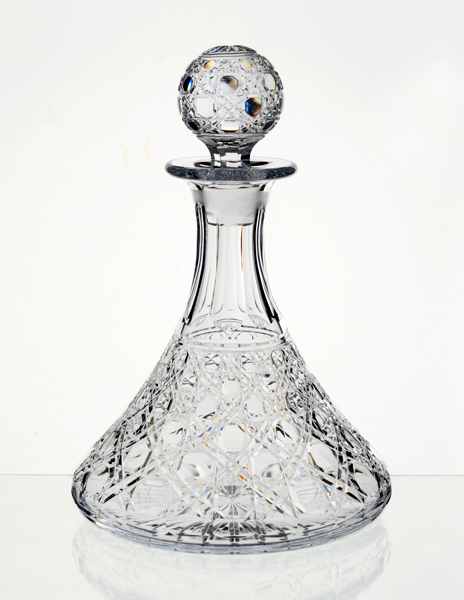 The unmistakable Ships Decanter with Hobnail cut, a Star cut into the base and a hand ground Crystal Stopper. 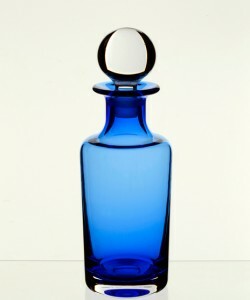 Dia 19cm by H 27cm – Volume 1lt approx. 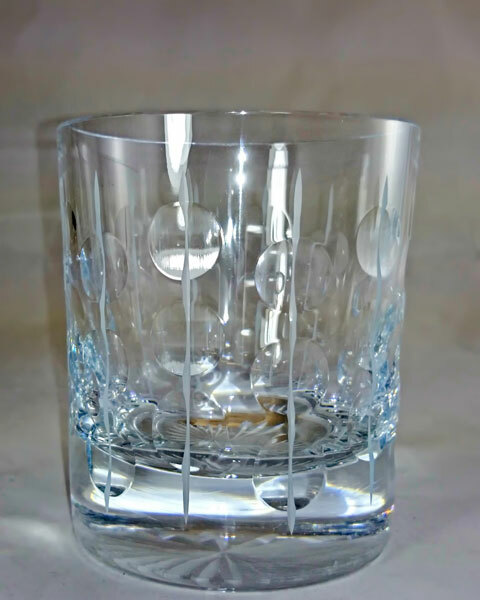 A large Whiskey Glass decorated in our Hobnail cut. 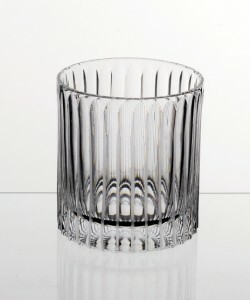 Large round tumblers available in many colours. 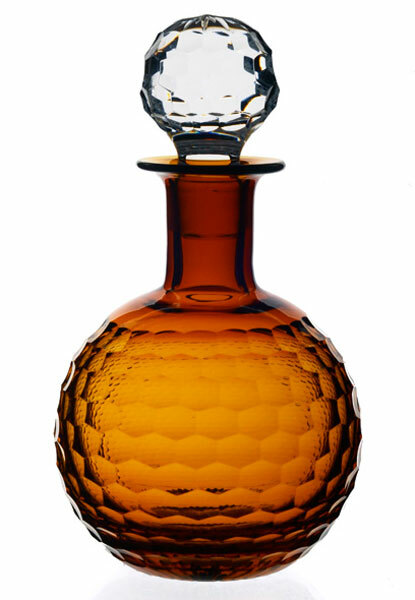 Round Decanter in dark Amber with Honeycomb cut, hand finished crystal stopper. 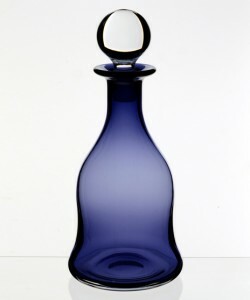 Dia 14cm by H 24cm – Volume 1lt approx. 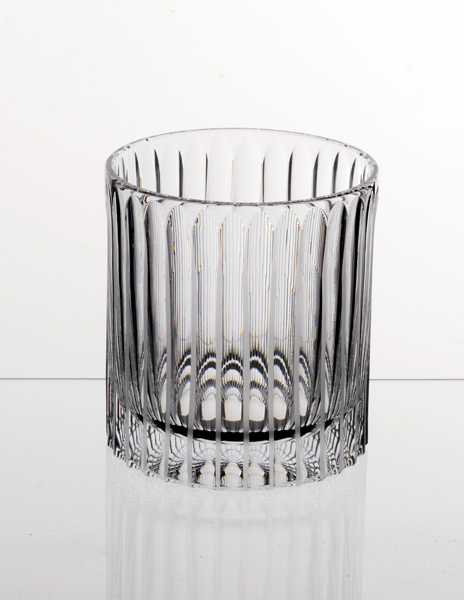 Simple yet refined medium sized tumbler with a flute cut running the full height of the glass. Dia 8cm by H 9cm. 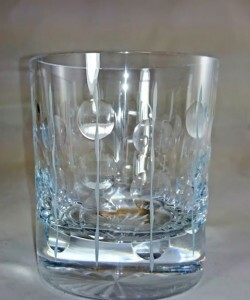 Our Large Whiskey tumbler with simple circle design. Dia 9cm by H 10cm. 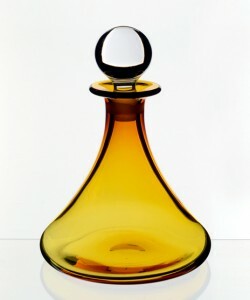 Light Amber with a hand ground crystal stopper. 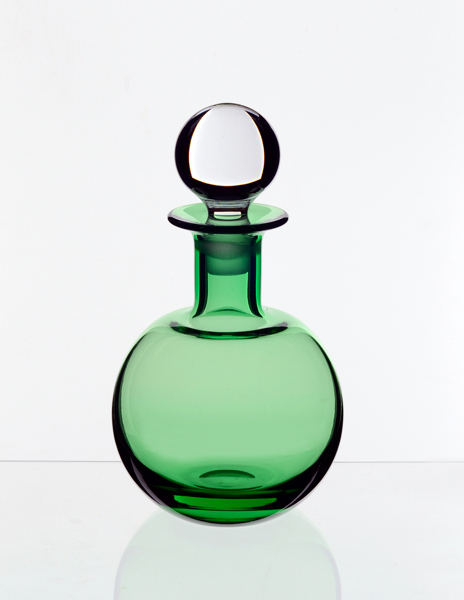 Spring Green round decanter, hand finished neck with a hand ground crystal stopper. 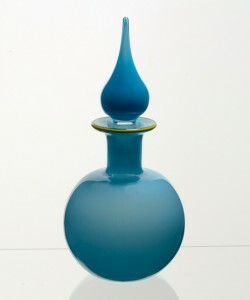 Dia 14cm by H 24 cm – Volume 1Lt approx. 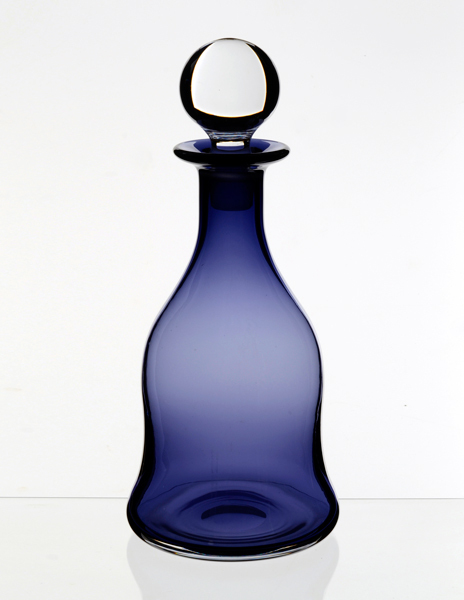 The Bell Decanter in Indigo, hand finished neck with a hand ground crystal stopper. 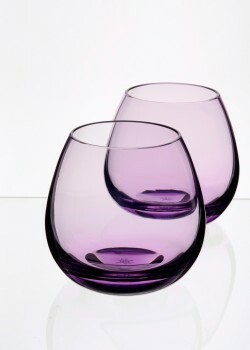 Dia 12cm by H 27 cm – Volume 1Lt approx. The Cylinder Decanter in Cerulean Blue, hand finished neck with a hand ground crystal stopper. Dia 9cm by H 30cm – Volume 1Lt approx. 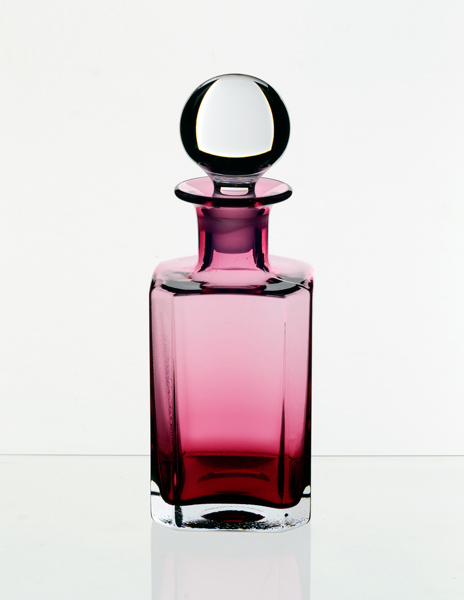 The Square Decanter in Ruby with a hand ground crystal stopper. 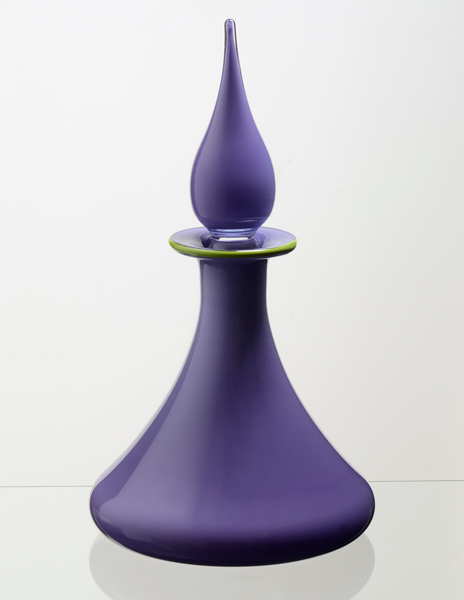 Dia 8cm by H 24cm – Volume 57cl approx. 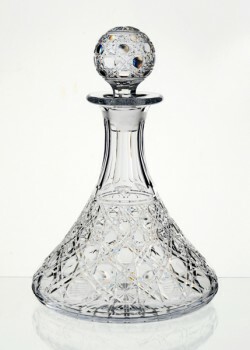 The Club Decanter in Dark Smoke, with a hand ground crystal stopper. 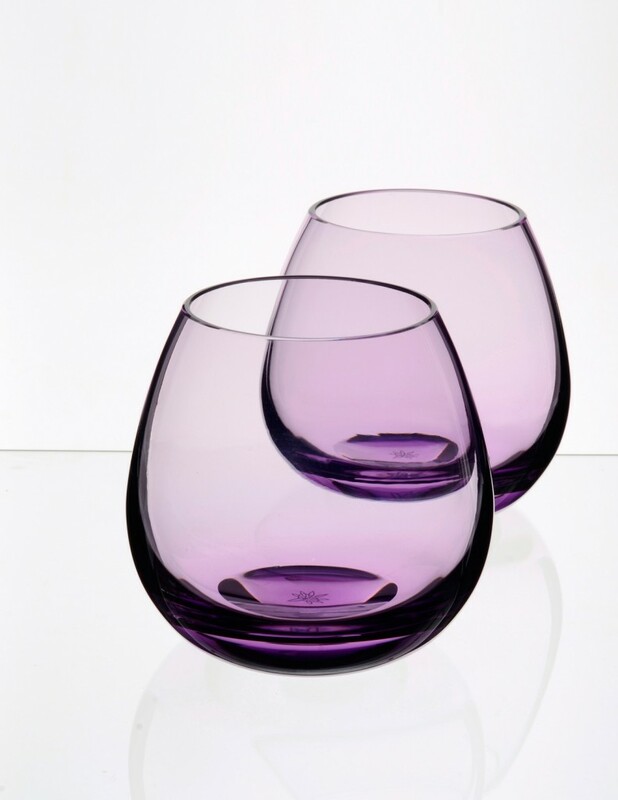 Dia 10cm by H 27cm – Volume 75cl approx. 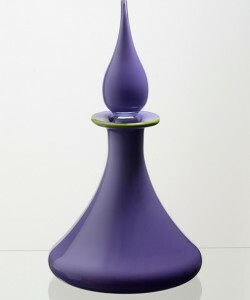 Made in Opaque Purple with a Lime Green detail and finished with a hand ground Flame crystal stopper. Dia 19cm by H 30cm – Volume 1Lt approx. 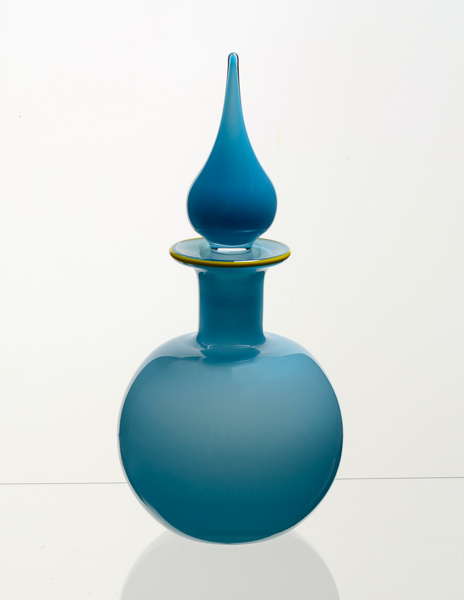 Opaque Azure Blue with a Lime Green detail and finished with a hand ground Flame crystal stopper. 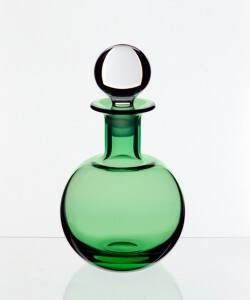 Dia 14cm by H 28cm – Volume 1Lt approx. 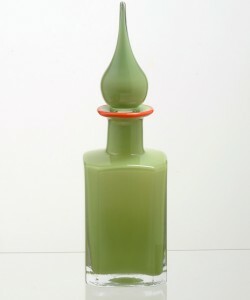 Made in Opaque Lime Green with an Orange detail and finished with a hand ground Flame crystal stopper. 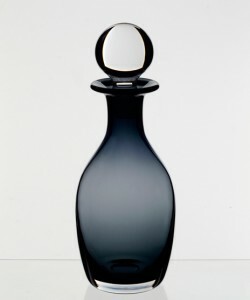 Dia 8cm by H 28cm – Volume 57cl approx. 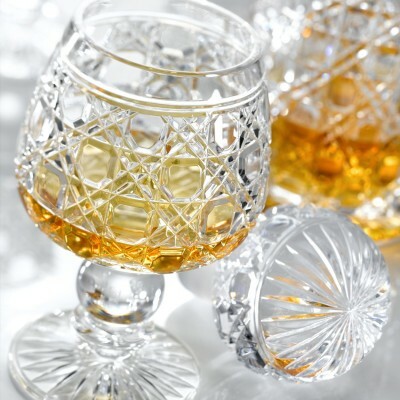 Due to the traditional glassmaking methods used, slight differences may occur. 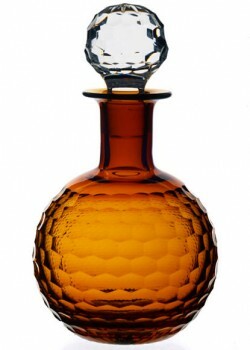 FOR FURTHER INFORMATION ABOUT PRICES ETC. PLEASE DO NOT HESITATE TO GET IN TOUCH.